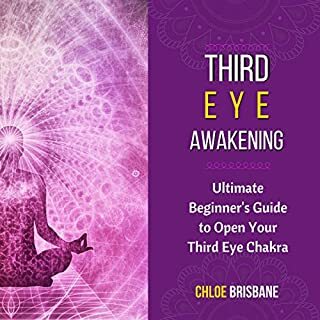 Third Eye Awakening: Ultimate Beginner's Guide to Open Your Third Eye Chakra is your one-stop audio guide to awakening your third eye and learning how to open it. You have chakras all throughout your body that are intricately tied to your health, energy, and soul. In this audiobook, the main focus will be on your third eye chakra. The source of your intuition and psychic gifts rests within your third eye. Located between your eyebrows, it can be opened with different methods which are detailed throughout this audiobook. This is absolutely the best one! Definitely this is for beginners! 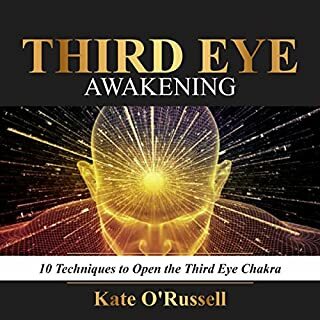 This audiobook "Third Eye Awakening: Ultimate Beginner’s Guide to Open Your Third Eye Chakra" gives me ample information about what third eye is and as well as different ways to open third eye. It's a great resource of information for me; it has a great content that contains useful and interesting things, idea and information that enlightens me. Meditation has been around for thousands and thousands of years. And today, it's more popular than ever. Every day, millions of people are constantly becoming more self-aware through mindful meditation. 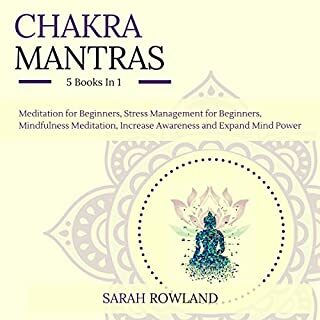 Simple focusing and various chakra meditations can help put you in a relaxed state of mind and can even open a dormant third eye.... Get your copy of Chakra Mantras: 5-in-1 Meditation Bundle today! This is extremely a gold mine of information! I appreciate this audiobook so much! With the help of this audiobook, I know now how to manage whatever problems I may encounter because of the tips, information given and most of all the meditations that we can practice. Oftentimes, I feel too much stressed and anxious for so many things especially when I have problem that is why I do appreciate this book because I learned so many things about overcoming anxieties, how to live without stress and so much more! Significance of an open third eye! This audiobooks offers you information that'll help you to awaken your third eye chakra. 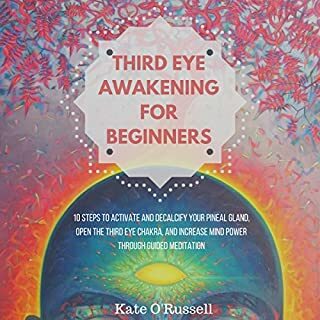 Through this, you'll learn everything, if you're a beginner then this is a must have book for you as it covers techniques, methods and easy to follow steps to awaken - opening of our third eye! Learning how our individual energy works and making adjustments where necessary can make exponentially great changes in our lives, and in the trajectory of our existence. A life full of stress, misfortune, and bad luck can quickly be relieved by listening to your inner self, your intuition, your Third Eye, within you. This audiobook will teach you how to harness the power within to make positive changes to your circumstances. Begin to reap the benefits of an open Third Eye! 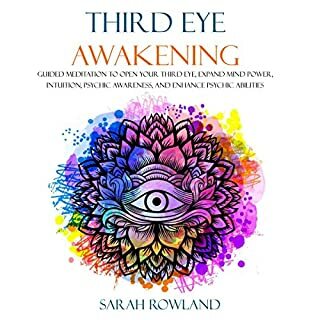 I am always looking forward for an awesome and great audiobook about third eye. This book gives me enough satisfaction about third eye and the author gives an ample information about what third eye is and other info that we need to know about the topic also she definitely explains the main objective of this book and or what it wants us to know and learn which is about "10 Steps to Activate and Decalcify Your Pineal Gland, Open the Third Eye Chakra, and Increase Mind Power Through Guided Meditation". This is an excellent guide if you're a beginner! 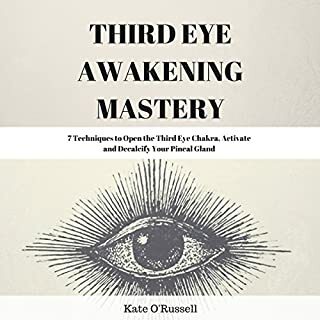 The third eye chakra is our spiritual connection made possible by the physical pineal gland within our brain. Environmental toxins cause build up around this organ, making it difficult to "see" and harness the wisdom carried within this entity. The third eye allows us to see our inner visions and manifest our wildest dreams. The key to a happy, joyous life is the ability to maintain this connection. Feeling aimless and hopeless in your situation may be resolved by unblocking your third eye. An excellent source for learning about third eye! Open your third eye chakra! I've already purchased books and audiobooks about this kind of topic and I'm so thanful and grateful because in every purchase I made and books I chose, I was able to get a bunch of new information, techniques and tips about third eye awakening and opening. I'd highly recommend this book! This is what I am really looking for! A compilation of books and or topics that contains everything that I should need to know and learn about third eye awakening and opening! 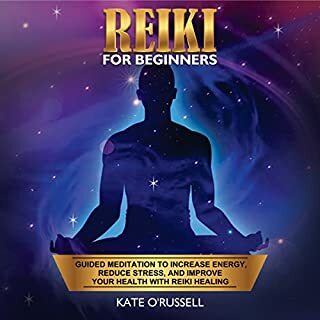 Reiki for Beginners is packed with several meditations you can do anywhere at any time - meditations to calm your mind and let the energy forces of Reiki in your body and mind heal not only mental issues like stress, anger, and depression, but also heal your body of everything from a common cold, headache, and flu to major illnesses like high blood pressure, spine issues, arthritis, and even cancer. Good basic understanding of Reiki for newbies. I'm into Reiki books/audio book! I'm getting really into reading and listening to Reiki books lately and I really enjoyed listening to this one. It's definitely for beginners and gives a nice overview of what Reiki is and where it came from. I believe people radiate different auras based on health, spirituality, negativity, or positivity. Interesting audio book and the length was perfect! I love this audio book so much! 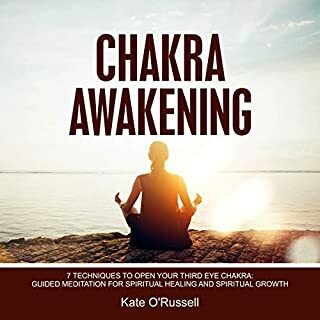 Chakra Awakening is your one-stop audio guide that will help you embark on your own journey to awakening your third eye chakra. You will learn about the third eye and how to awaken it through the help of seven different meditative exercises. You will also learn how to tap into your natural psychic abilities, hone your skills, and lead a more spiritually-aligned life where your mind-body connection is whole and nurtured. This audiobook honors your unique experience while also guiding you on how to facilitate a successful awakening. This will empower you through teachings &amp; simple..
What I love about this audio book is that it'll help you on how to open our third eye chakra with the use of those 7 techniques and other information that'll you'll learn. A part from that, it has a guided meditation for spiritual healing and spiritual growth that we can use in our everyday lives! This was one of my favorite audio book so far. The author provides ample information about Chakra Awakening and would definitely recommend this to anyone! I also love the narrator's voice cause it's pleasing to the ears! Third Eye Awakening: 10 Techniques to Open the Third Eye Chakra is your one-stop audio guide to giving you a complete and better understanding of the seven chakras, of third eye awakening, astral travel, meditation techniques, and psychic abilities. In practicing the guided meditations provided within this audiobook, you should be several steps closer to aligning your chakra system, relaxing your body and mind, and having a greater appreciation for psychic awareness. 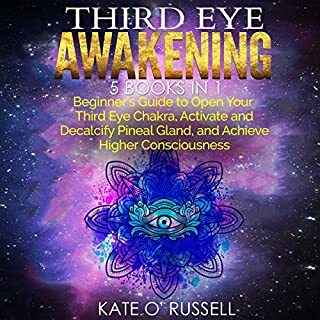 This audio book taught me on how to awaken my third eye with the use and help of those 10 techniques! With the ample information, I was able to relate and understand quickly everything for me to be able to open my third eye! Thanks to the author! 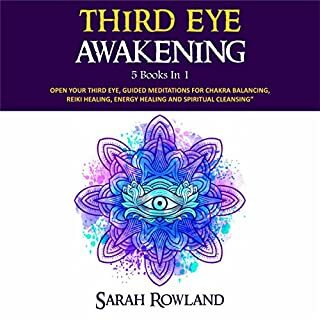 Third Eye Awakening is your one-stop audio guide that will teach you everything you need to know about how to open your Third Eye Chakra through the power of mindful meditation. Love the facts and trivias about Third Eye! This a very good audio book. It has a lot of trivias and facts about the Third Eye, that we are supposed to awaken to elevate our consciousness. And the information are great too as well as it was well-narrated by Leslie Howard and you won't be bored when you listen to it. Thanks a lot Sarah Rowland!